Your Genesis Coupe's chassis is always under pressure to twist and flex because of of various forces arising from acceleration, deceleration, and turning. Improving your chassis' rigidity will reduce this flex and in turn improve performance across the board. 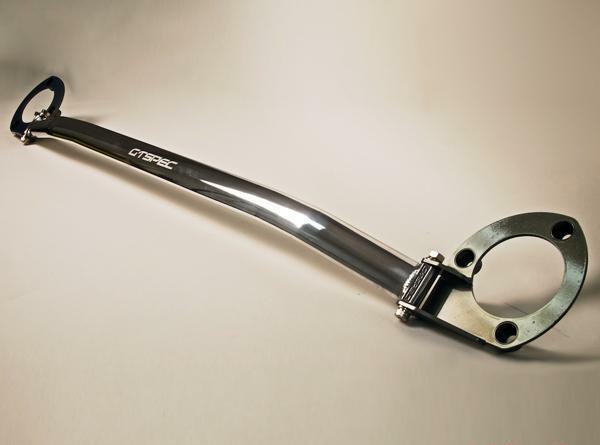 One of the simplest forms of improving chassis rigidity is by adding or improving a front strut tower bar. On turning the outside and inside wheels have different levels of pressure being applied and as such causes chassis flex. 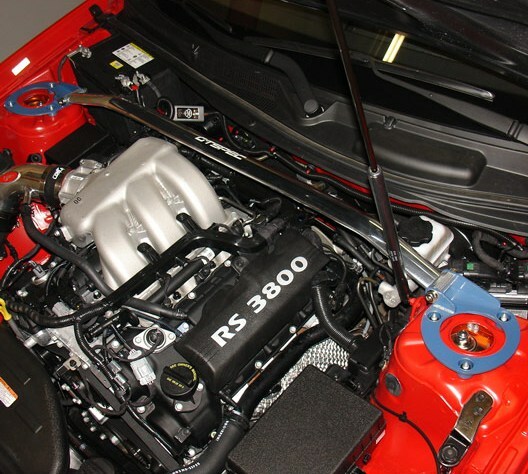 A strut bar will reinforce the two strut towers to more evenly distribute this pressure and reduce chassis flex.